A simple idea turned into fruition. 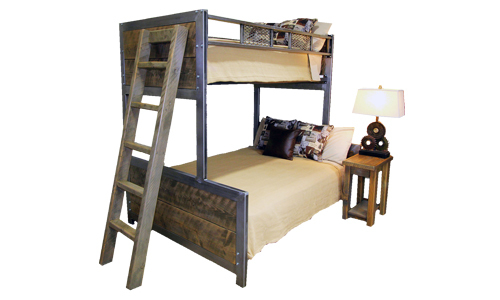 At Four Corner Furniture, let imagination run free. Bring a piece of the mountains home with you. 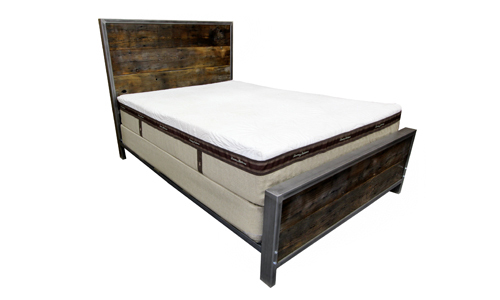 Since 2001, Four Corner Furniture has been handcrafting quality furniture that’s built to last, using locally-sourced materials. 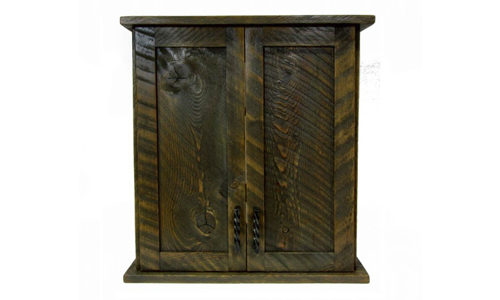 Our furniture is designed and constructed on-site in Bozeman, MT by skilled local craftsmen. 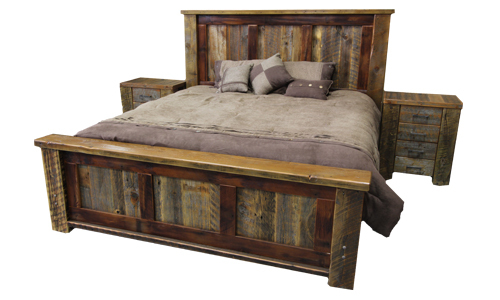 Each one-of-a-kind piece is built from rough-sawn fir or reclaimed wood boards. 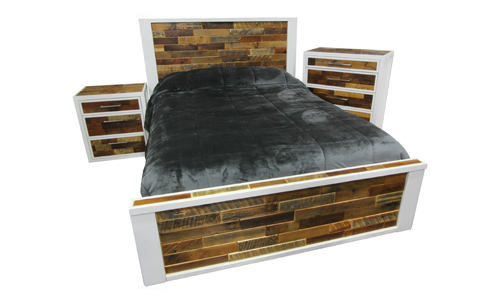 Some designs incorporate glass, industrial metal, and recycled tin for an urban, contemporary twist on the rustic elegance of our timeless wood furniture designs. 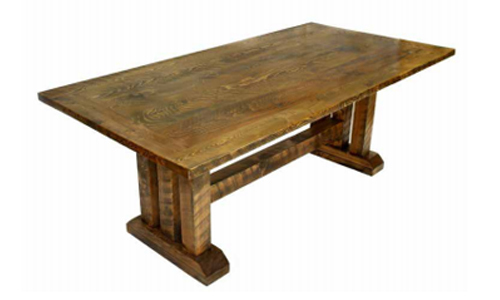 We also collaborate with clients to create custom furniture to suit any space. If you can dream it, we can build it. 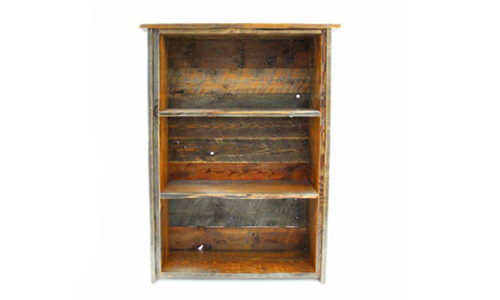 Our reclaimed lumber comes from century-old barns, grain elevators, textile mills and tobacco warehouses found in Montana, Idaho, and Wyoming. 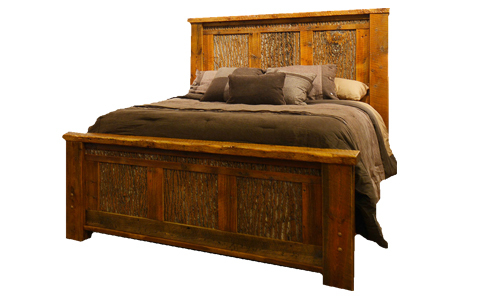 Our rough-sawn fir is locally sourced and milled in Montana. 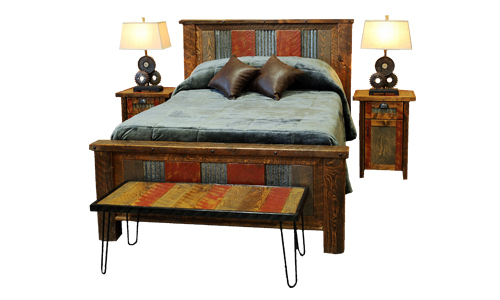 All of our furniture is designed and crafted in our showroom here in Bozeman, Montana. Learn more about our custom furniture offerings and “smart furniture” with integrated technology. 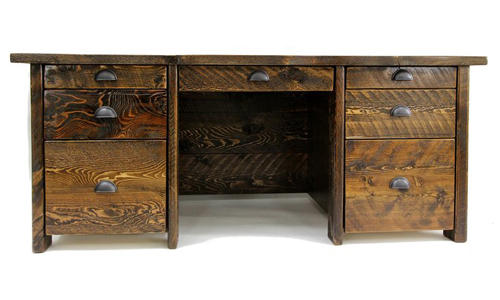 Modern conveniences blended with a natural, rustic aesthetic. All fabrication is done on-site by our team of skilled local craftsmen. 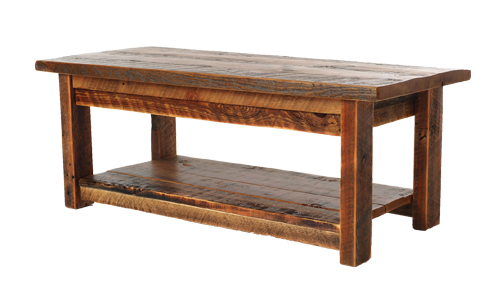 Keen attention to detail, quality materials, and efficient processes allow us to offer handmade furniture at an affordable price. 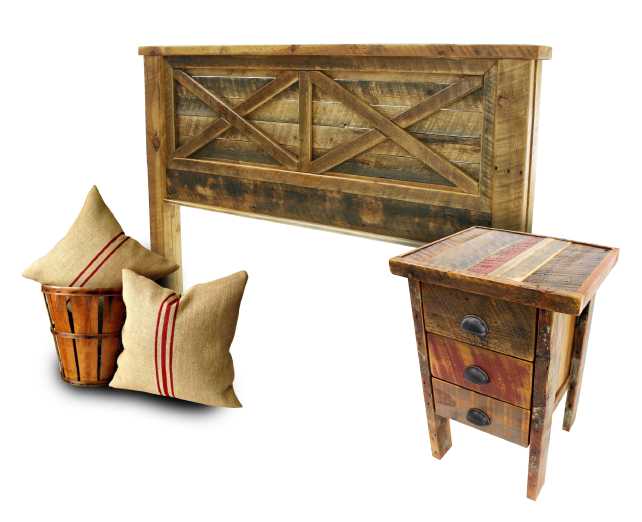 Purchase lovingly handmade furniture directly from our showroom, or visit to find inspiration for your own custom creations.